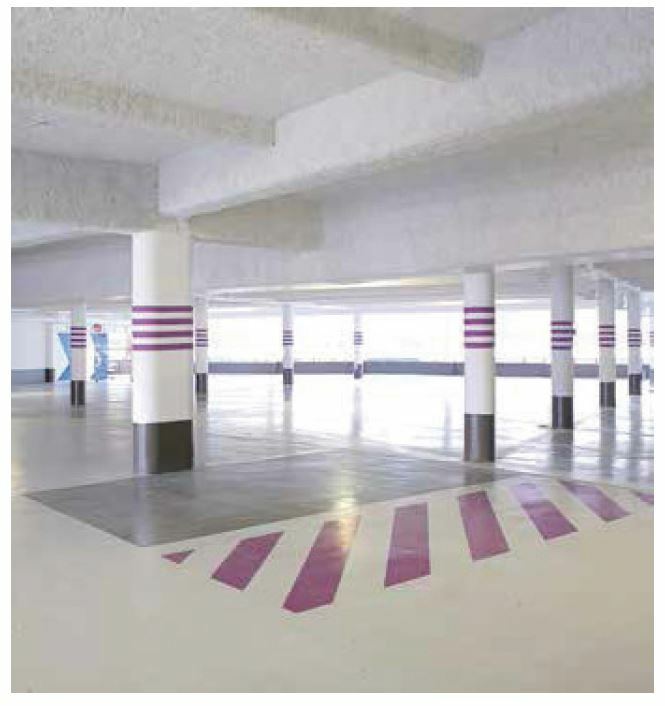 Whatever the substrate to be protected, the end user or the contractor must consider series of quesions when selecting the product to be installed/specified. 1. Which goal to be achieved (fre resisance, thermal insulation, acousical correction)? 2. Additional weight : important factor ? 3. Exposure to physical damage : important factor? 4. Air erosion to be considered ? 5. Future repairs to be considered ? 6. Aesthetical appearance to be considered ? 7. Difculties to spray / to access : important factor? 8. Interactions with others contractors to be considered ? 9. Speed of insallation to be considered ? 10. Price per sqm is your priority goal? based only on the level of performance, such as a thermal resisance value. All advisers should first consider pall the above points. Spraying is performed using a hydropneumatic spray machine. A spray gun to spray the mixture and water. A qualified spray technician adjusts the flow rates according to the manufacturer’s technical instructions. A fibrous mixture is a spray-on coating that comes in the form of wadding. The product is carded into a machine, then transported through a pipe, and then launched using compressed air. The rim of the pipe is equipped with tubes supplied with water to wet the product before it is sprayed onto the base. The installation of fibrous products is detailed in DTU 27.1, standard NF P 15-202:2004. Installation must be performed by trained staff, ensured by the company’s qualification. The rooms must be roofed in and ventilated. The temperature of the room and the base must be above +5 °C and less than 45 °C. Stone or concrete bases must be dry (drying period of at least 45 days for new bases). If required by the specific contractual documents (DPM), metal structures must have been treated with the anticorrosive protection specified in these documents. For fire protection applications, please refer to the classification or description report. The building fixation devices to be implemented after spraying must be in place and the hoppers must be recapped before spraying to restore the stability of the base. The building must not be subjected to impacts or vibrations during the work, nor during the period required for the product to take on its mechanical characteristics. This period depends on the type of product and the temperature and humidity conditions. It is important to ensure that the recommended primer is carefully applied. If unsure, please contact our technical department. 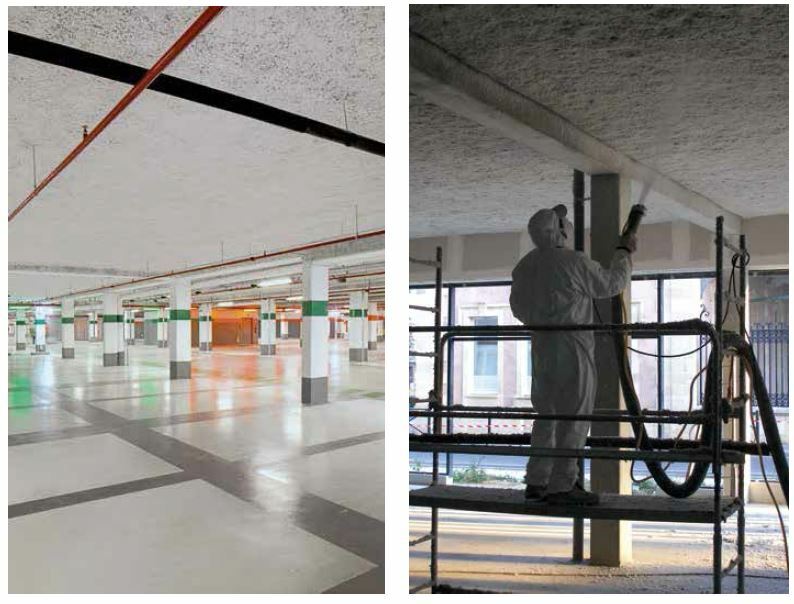 Note: The description of the work in question is 7142 (Thermal insulation – Spray-on acoustic correction – Injection) or 7143 (Passive fire protection).